Vantec EZ Swap M3500 Series Single Bay 3.5/2.5in SATA/SAS HDD Mobile Rack, Aluminum Material, Model: MRK-M3501T. Sans Digital TowerRAID TR5M+BNC 5-Bay eSATA Port Multiplier JBOD Tower (No eSATA Card Bundled), Black. 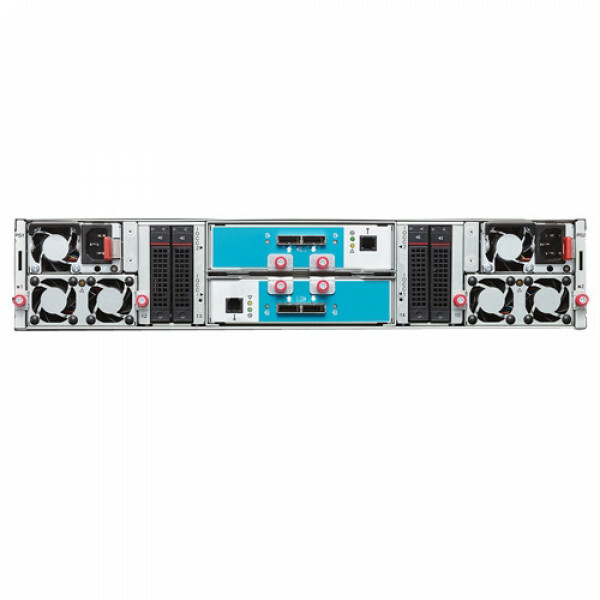 Lenovo ThinkServer SA120 2U Rack Mountable DAS Array 70F10000UX, 6Gb/s SAS and Serial ATA/600 Controller, 16x Bays, w/ Mini-SAS. ThinkServer SA120 direct attach storage offers enormous expansion, with twelve 3.5" high capacity front-panel drive bays, up to two I/O controllers and four optional rear-panel 2.5" SSD drive bays to improve throughput. Coupled with ThinkServer host servers configured with LSI CacheCade technology, these SSD drives enable the ThinkServer SA120 to provide additional cache, low latency and deliver amazing IOPS improvements. This clever, scalable design provides an optimal tiered storage solution. With legendary Think design and enterprise-grade reliability, the ThinkServer SA120 provides peace of mind. Its innovative storage design combines large capacity near-line 3.5" drives and lightning-fast 2.5" drives to provide a perfect solution for customers who require high performance and maximum capacity at a fraction of the cost and complexity of typical storage area network choices. Servicing the SA120 is easy with tool-less components, hot-swap fans and power supplies. It shares common parts with ThinkServer rack and tower servers for simplified management. Featuring the latest high performance SSD choices from Intel, ThinkServer SA120 delivers the fast response and low latency you demand. ThinkServer SA120 offers high efficiency 80 PLUS redundant power supplies to keep your business running smoothly and to reduce power consumption. Plus, if you need fast, professional service help, Lenovo provides an impressive array of warranty upgrades and rapid-response services. Combining these rich features with competitive prices and a standard 3-year warranty, the ThinkServer SA120 offers an impressive value. Dimensions (Hx Wx D): 3.4"x 17.6"x 15.2"